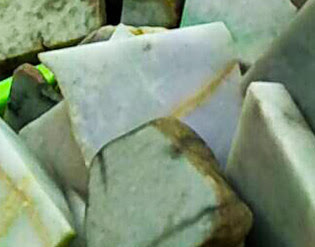 We bring you everything around jade stones from raw jade jadeite to boulders and pebbles in cut block or chunk shape including most colors and jewelry. 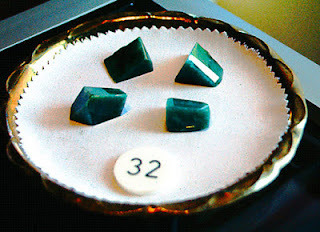 Jade is a useful material either raw and as a creative DIY material or as jewelry and has some mystic property also a high level of symbolism is relevant. In other countries not many use jewelry created from the stone but everywhere with a Chinese population that is the jewelry material people are dreaming about. 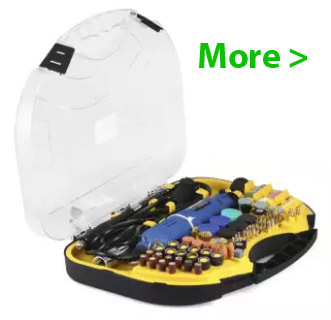 Browse through our website and tell us what you want and we give you an idea what is available. It needs to keep in mind that jade stones are sold per piece and not per carat gram or whatever and the texture plus translucency play a major role in determining the value. 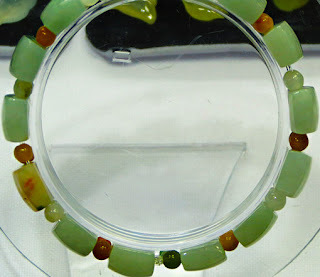 As a matter of fact everyone has a different idea about the price of jade since there are no standard parameters especially not with jade colors which makes it often difficult to find a realistic price. The 13-day Myanmar Gems Emporium (2016) ended in the capital Naypyitaw with successful auctions of 8,943 lots of jade and 323 lots of gems. This is substantially lower than last years when almost 3 billion where sold they said because of lower prices (they say because the Chinese cornered the market and bought everything available before for lower prices and a drop in the jade sale volume in general. More than 4,500 traders from China Hong Kong Thailand and Japan attended the emporium this year Myanmar started to hold annual gem sales in 1964 at Yangon. Always use a UV flashlight for quick quality control. 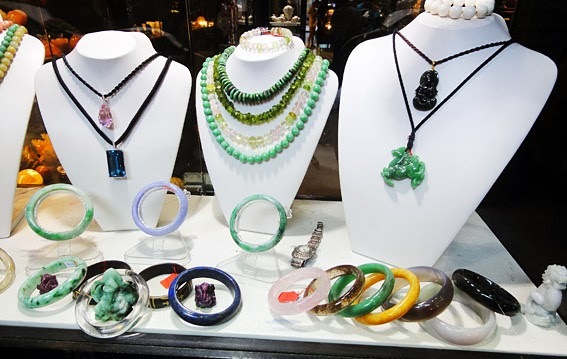 On display are slabs chunks of various jadeite jade color and sizes shining star sapphires luscious golden south sea pearls and rare pigeon’s blood rubies. Actually it seems to be mainly because the Chinese cornered the market and bought everything available before for lower prices. Some of the minerals were probably treated with bleaching liquid but it's difficult to find out just at the spot. Buying the mineral is always a risky business because nobody can look into the stone and the method with the lamp needs long experience and is still not safe. Rough jade stone is used for jewelry ornaments and sculpturing since thousands of years. 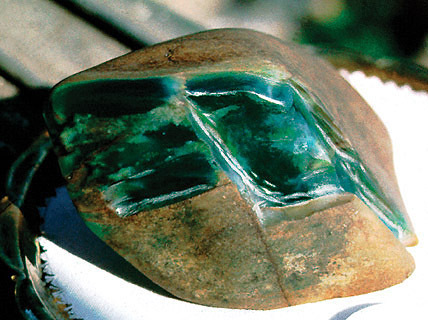 Over a long period of time people thought an oriental jade mine is only in China which was wrong because actually most came from the Turkestan Region. Today the high-end material is Myanmar (Burmese) jadeite and the other is nephrite which come from different places of the globe among other Canada and Australia because the Chinese mines already got exhausted. Minor mines are also in New Zealand Australia and Russia. In ancient times, this was a revered stone which commands its importance in their cosmology and rituals. They believed that the world was surrounded by water, and the breath or influence of nature affect both living and dead. The fate of man is determined by cosmological influences. But very much standing on earth by using an arrowhead to kill and a lot of superstition surrounded the green stone. For all variants available just browse our website and you will discover the “pretty stones” you like and the very good news is here you find items which are a high-end appearance with a low-end price. 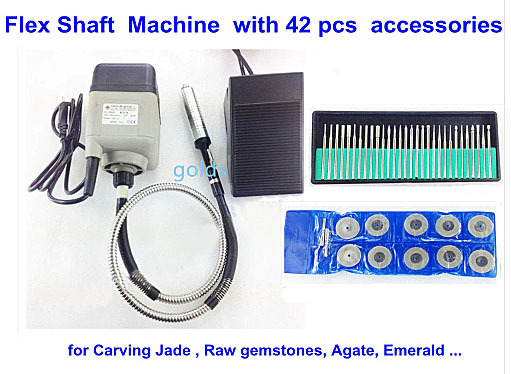 Although jade stones are very tough almost like diamonds don't let them fall on a stone floor since they will brake. 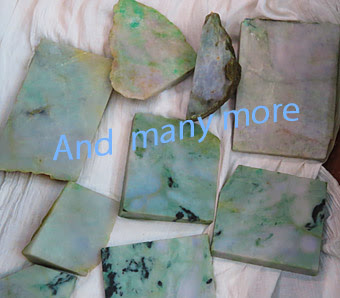 Raw jade for sale among other with lavender green and white color.